Task: to design a logo. 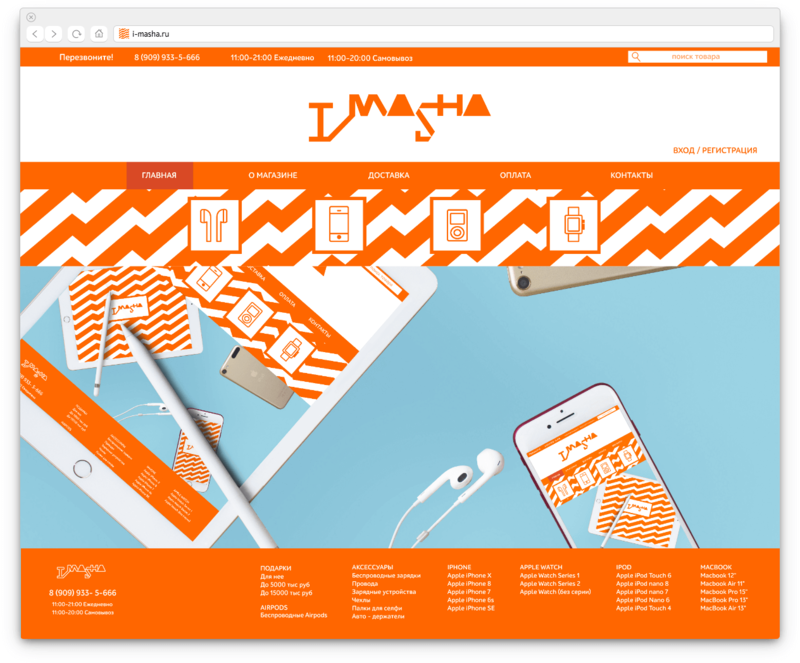 iMasha store sells Apple devices and custom design Apple Watch straps. 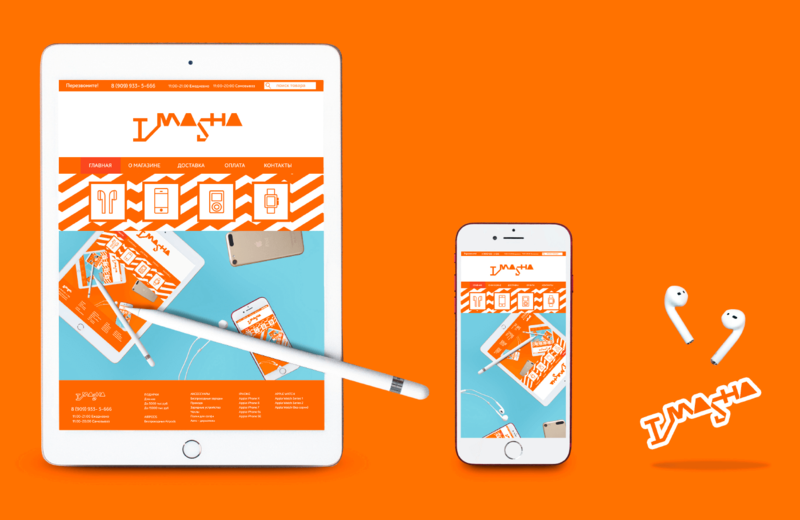 The logo is decidedly about gadgets: chopped shapes, bright colors, large typeface. The letter I is moved forward to make sure everyone understands that iMasha sells Apple products. 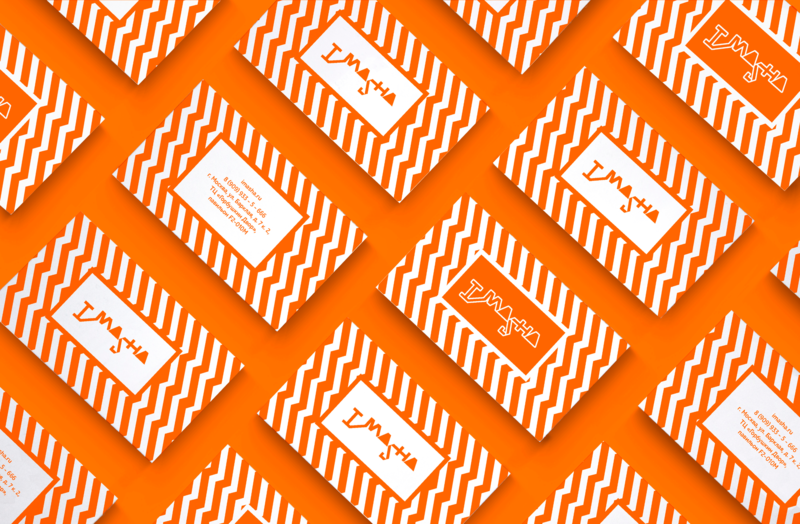 The logo is supplemented with a simple and recognizable pattern.